Home Tags Posts tagged with "syrian army"
Hundreds of Syrians have been killed early this morning on the outskirts of Damascus following chemical weapons attacks, Syrian opposition activists say. Rockets with toxic agents were launched at the suburbs of the Ghouta region early on Wednesday as part of a major bombardment on rebel forces, they say. The Syrian army says the accusations have been fabricated to cover up rebel losses. The main opposition alliance said that more than 1,000 people were killed by the attacks. Activist networks also reported death tolls in the hundreds, but these could not be independently confirmed. It is also not clear how many died in the bombardment of the sites and how many deaths were due to any exposure to toxic substances. Images showed dozens of bodies with no visible signs of injuries, including small children, laid out on the floor of a clinic. In a statement, the army described the accusations of chemical weapons use as grave, and stressed the military’s right to fight what it described as terrorism in Syria. It accused the opposition of fabricating the accusations to divert attention from the huge losses its forces had suffered recently. UK Foreign Secretary William Hague and French President Francois Hollande called for UN inspectors to be allowed access to the area and said Britain and France would raise the issue at the UN. If confirmed, the attacks would mark a “shocking escalation in the use of chemical weapons in Syria”, William Hague said. The Arab League echoed the call for the inspectors to go to the site, while Saudi Arabia called for the UN Security Council to convene immediately to discuss the matter. The attack took place as part of a heavy government bombardment of the region surrounding Damascus, where government forces have been trying to drive out rebel forces. Casualties were reported in the areas of Irbin, Duma and Muadhamiya among others, activists said. Footage uploaded to YouTube from the scene by activists shows many people being treated in makeshift hospitals. The videos show victims, including many children, having convulsions. Others are apparently immobile and have difficulty breathing. “Many of the casualties are women and children. They arrived with their pupils dilated, cold limbs and foam in their mouths,” a nurse at a Duma medical facility, Bayan Baker, told Reuters. The number of casualties is much higher than in previous allegations of chemical weapons attacks. The Sana news agency said the reports of the attack were “baseless”, quoting a “media source”. The reports were “an attempt to divert the UN chemical weapons investigation commission away from carrying out its duties”, Sana said. The head of the inspection mission, Ake Sellstrom, said he had seen TV footage of the latest attack but nothing more. “It sounds like something that should be looked into,” Ake Sellstrom told the Swedish TT news agency. Ake Sellstrom said that whether his team went to the scene would depend on whether any UN member state went to the UN Secretary General and asked them to. The inspectors arrived on Sunday and are due to investigate three other locations, including the northern town of Khan al-Assal, where some 26 people were killed in March. Both the rebels and government forces have accused each other of using chemical weapons during the conflict. It has not been possible to independently verify the claims. 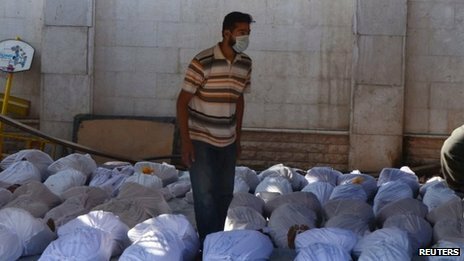 In July 2012, the Syrian government implicitly admitted what had long been suspected by experts in the field of chemical weapons proliferation – that Syria had stocks of chemical weapons. Experts believe it has large undeclared stockpiles of mustard gas and sarin nerve agent. Damascus said the weapons, stored and secured by the armed forces, would never be used “inside Syria”, but could be used against an external attack. Syrian army has fully captured Khalidiya district that was a key rebel stronghold in the central city of Homs, state media report. The Sana news agency said the military had “restored security and stability to the neighborhood of Khalidiya”. The announcement comes a month after troops launched an offensive to oust rebels from Syria’s third largest city. 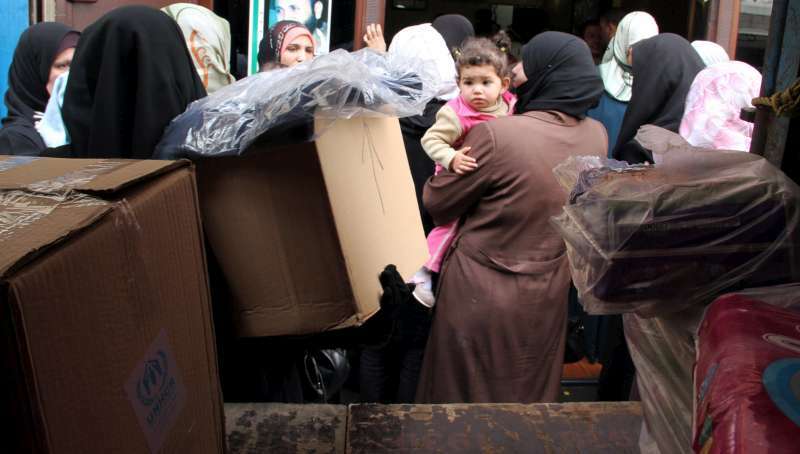 Homs has been one of the focuses of a two-year nationwide uprising against President Bashar al-Assad, in which the UN says more than 100,000 people have died. Correspondents say the capture of Khalidiya would add further impetus to the counter-offensive by government troops and their allies, which saw the nearby town of Qusair fall in June. However, UK-based activist group the Syrian Observatory for Human Rights cast doubt on the claim. While the group acknowledged that government forces were in control of most of Khalidiya, it said fighting was continuing on Monday. “Clashes took place between rebels and regime forces, supported by Hezbollah and National Defence Forces, in the southern parts of the Khalidiya neighborhood,” it said. Opposition activists told the AFP news agency that about 90% of Khalidiya was now controlled by the army. One told the Associated Press that the battle for the district was “almost over”. On Sunday, the Arabic TV station al-Mayadeen, which is seen as close to the Syrian government, broadcast what it said was footage of Khalidiya, showing heavily damaged buildings and piles of rubble. It also showed pictures of the interior of the historic Khaled bin Walid mosque, a focal point for anti-government protesters. Troops reportedly seized it on Saturday, days after activists accused them of firing shells at the tomb of Khaled bin Walid, a revered figure in Islam. Only the Old City of Homs and a few other districts are still held by the opposition. On Monday, government jets bombed the Bab Hud district of the Old City, just south of Khalidiya, according to the Syrian Observatory. Syrian army has killed 13 members of the same family, mostly women and children, activist groups say. Some reports say some of the victims were burnt alive, in the incident in Bayda near the coastal city of Banias. The family members were said to be from a mostly Sunni village, but in an area where government supporters have been accused of trying to clear out Sunnis. According to the UK-based Syrian Observatory for Human Rights – which relies on a network on opposition activists on the ground – at least three men from the Fattouh family in Bayda were shot dead by government forces and militia in the latest violence. Women and children from the same family were then crowded into one room in a house, where they were all killed, it said. Some reports said they were burnt alive when the house was set on fire, others, that they were shot beforehand. The reported deaths came after clashes in Banias in which some loyalists died. The village of Bayda is described as a pocket of Sunni Muslims in the coastal province of Tartus, which is dominated by President Bashar al-Assad’s minority Alawite sect. Both Bayda and Banias were the scene of what were described as sectarian massacres of Sunni families in May, in which more than 100 people died. UN says more than 90,000 people have been killed in Syria since the uprising again Bashar al-Assad began in 2011. A further 1.7 million have been forced to seek shelter in neighboring countries. According to Israeli military sources, the Syrian army has taken control of an UN-monitored crossing in the Golan Heights that had been overrun by rebel forces. Tanks and armored vehicles were used in the fighting at Quneitra, near Israeli-held territory. Austria has said it will withdraw its peacekeepers from the Golan Heights because of the fighting. It comes a day after Syrian troops backed by Lebanese Hezbollah militants retook the key town of Qusair. The involvement of Hezbollah and the upsurge of fighting near the ceasefire line with Israel in the Golan have both raised fears that the conflict could spread across Syria’s borders. Rebels seized the crossing near the town of Quneitra earlier on Thursday, with explosions and heavy shelling rocking the area. But an Israeli military source said Syrian government forces retook the symbolically significant position hours later, and that it was now relatively quiet in the area. Two UN peacekeepers were wounded as fighting raged around the crossing and Quneitra. Austria said it would withdraw its soldiers because the threat had “reached an unacceptable level”. Austrian troops make up more than a third of the more than 900-strong UN force monitoring the demilitarized zone and Quneitra – the only open crossing between Syria and the Israeli-controlled Golan Heights. Israel expressed regret at Austria’s decision, and said it hoped it would not lead to “further escalation” in the region. The UN said the withdrawal of Austrian troops would affect the mission’s operational capacity and it would look for replacements. Croatia, Canada and Japan had already withdrawn their contingents in the Golan because of the conflict in Syria. Syria’s deployment of tanks in the demilitarized zone violates ceasefire agreements in place since the Arab-Israeli war of 1973. Israel captured part of the plateau in 1967 and later annexed it in a move that has never been internationally recognized. Israeli officials have voiced fears the civil war in Syria could spill over their borders. They are worried the Golan Heights could be used to launch attacks against Israel – either by Islamist extremists fighting for the rebels, or by Hezbollah militants fighting on the government side. Hezbollah’s growing role in the conflict was highlighted by its involvement in the battle for Qusair, which government forces recaptured on Wednesday after a bitter siege. Hezbollah is a political and military organization in Lebanon made up mainly of Shia Muslims. It emerged with backing from Iran in the early 1980s when it fought Israeli forces in southern Lebanon and has always been a close ally of Syrian President Bashar al-Assad. Its involvement in Syria has heightened sectarian tensions across the region, and the US has called for it to withdraw. Late on Wednesday several rockets landed in the Hezbollah stronghold of Baalbek inside Lebanon – after rebel threats to strike at Hezbollah on its home turf. Qusair lies only 6 miles from the Lebanese border and is close to important supply routes for both the government and rebels. As the battle for Qusair raged, fighting was continuing in most other parts of Syria, especially around the capital Damascus, where regime forces are trying to push the rebels back from the suburbs. More than 80,000 people have been killed in Syria and more than 1.5 million have fled the country since an uprising against President Bashar al-Assad began in 2011, according to UN estimates. International efforts to resolve Syria’s conflict continue, but the US and Russia have failed to set a date for proposed peace talks. Meanwhile France has said that growing proof of chemical weapons use in Syria “obliges the international community to act”. Syrian army has taken full control of the strategic town of Qusair, state TV and the rebels say. Qusair, near the Lebanese border, has been the centre of fighting for more than two weeks between rebels and Syrian troops backed by fighters from the Lebanese militant group Hezbollah. Syrian state TV said a large number of rebels had died and many had surrendered. The rebels said they withdrew overnight in the face of a massive assault. Earlier, the military leader of the main rebel umbrella group, the Free Syrian Army, said his fighters were prepared to take the conflict inside Lebanon in pursuit of Hezbollah fighters. General Selim Idriss of the Free Syrian Army (FSA) – the main umbrella rebel group – said Hezbollah fighters were “invading” Syria and Lebanon was doing nothing to stop them. Qusair lies just 6 miles from the Lebanese border and along major supply routes. Syrian pro-government forces, including Hezbollah fighters, have been battling rebels for control of the town for more than two weeks. But on Wednesday, Syria’s Sana state news agency said the “heroic armed forces have returned security and stability to all of the town”. Sana said a large number of “terrorists”, as the state refers to the rebels, had been killed and many had surrendered. It said the army was now destroying barricades and weapons caches and searching the town for explosives. The army said the victory was “a clear message to all those who share in the aggression on Syria … that we will continue our string of victories until we regain every inch of Syrian land”. “We will not hesitate to crush with an iron fist those who attack us. … Their fate is surrender or death,” it said. The British-based Syrian Observatory for Human Rights, an activist group that monitors the conflict, said Hezbollah fighters had “overrun” Qusair after an “intense bombardment cover overnight by regime forces, which continued until dawn today”. 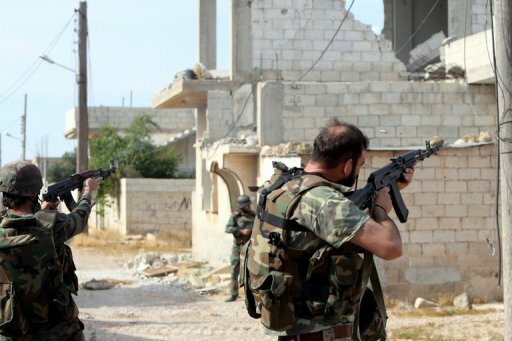 “Reports indicate that the rebel forces retreated from the city due to lack of ammunition and men, this comes despite the many promises that supplies would reach the rebels,” it said on its Facebook page. It also expressed concern for the more than 1,200 people it said were injured in Qusair, and urged the Red Cross to go in. Last week, the Red Cross said it was “alarmed” by the worsening humanitarian situation and appealed for immediate aid access. Syrian Foreign Minister Walid al-Moualem reportedly said last week that the agency would be allowed in once military operations were over. According to new reports, although there are pockets of rebel resistance to the north of Qusair, the government is hailing its recapture as a strategic victory. The move is also of symbolic importance in the run-up to a proposed peace conference as neither side wants to go into the talks looking weak. Russia and the US are meeting in Geneva on Wednesday to try to arrange a date and other details of the conference. But it remains unclear whether it will go ahead as the Syrian opposition has neither confirmed it will attend nor established a credible delegation. More than 80,000 people have been killed in Syria and more than 1.5 million have fled the country since an uprising against Bashar al-Assad began in 2011, according to UN estimates. The UN reported on Tuesday that the war had reached “new levels of brutality”, with evidence of massacres and children being taken hostage of forced to witness – sometimes participate in – atrocities. There is also growing evidence that chemical weapons have been deployed in the conflict. France’s Foreign Minister Laurent Fabius said on Tuesday that samples taken from Syria and tested in France showed the presence of sarin, and that there was “no doubt that it’s the regime and its accomplices” that were responsible. Laurent Fabius did not specify where the samples had been collected, but French media reported it had been from the northern town of Saraqeb. Both the Syrian government and the rebels have in the past accused each other of using the weapons. 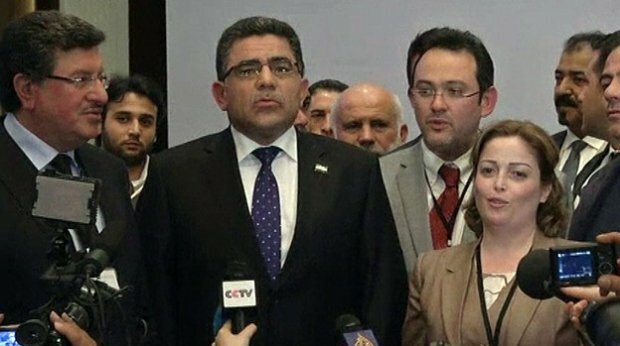 Syrian opposition National Coalition has chosen Ghassan Hitto as the prime minister to head a government for rebel-held regions. Ghassan Hitto is a Damascus-born IT expert who spent decades in the US. He was elected at a meeting of coalition leaders in Istanbul in Turkey. His first task will be to form a government to oversee services in areas captured from government forces. Meanwhile, the US and France denounced a Syrian airstrike on the Lebanese border as a “violation of sovereignty”. Reports from Lebanon say Syrian aircraft fired four rockets at the border between the two countries, near the Lebanese town of Arsal on Monday. There were no casualties from the raid. Lebanese officials had earlier said it was not clear whether the rockets had landed inside Lebanese territory. The US described the attack as a “significant escalation” of the conflict. France said the raid constituted “a new and serious violation of Lebanon’s sovereignty”. In Monday’s vote in Istanbul, Ghassan Hitto won with 35 out of 48 votes, in what coalition leaders described as a “transparent, democratic” election. But some senior coalition leaders are reported to have withdrawn from the vote in protest over Ghassan Hitto’s lack of military experience. Last November, the 50-year-old moved from Texas to Turkey to help co-ordinate aid to rebel-held areas. 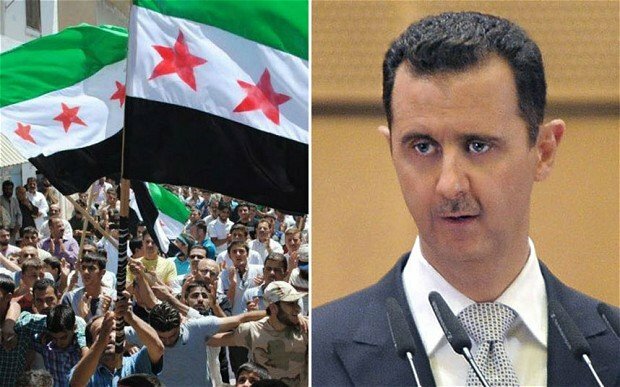 Earlier, the commander of the rebel Free Syrian Army said his group would work “under the umbrella” of any new government.“Any institutions not following this government would be considered to be acting illegitimately and would be prosecuted,” Gen Selim Idriss Idriss told AFP news agency. Large swathes of northern Syria have been seized by rebels in recent months. They are currently administered by a patchwork of local councils and armed groups who have been running some institutions, such as courts and prisons. But reports say basic supplies such as electricity and water are limited. Also on Monday, the US said it would not stand in the way of other countries arming Syrian rebels. Last week saw the second anniversary of the Syrian uprising against the rule of President Bashar al-Assad, which initially began as a wave of peaceful protests but which is now often described as a civil war. An estimated 70,000 people have been killed and more than one million people have fled Syria since the uprising began. Syria’s army said Israeli jets had targeted a military research centre north-west of Damascus on Wednesday, killing two people and wounding five. It denied reports that trucks carrying weapons bound for Lebanon were hit. Russia has called the attack unacceptable, while a Syrian official and Iranian deputy minister have suggested there could be retaliation. The Syrian army statement about the incident, carried on state media, said Israeli fighter jets had carried out a direct strike on a scientific research centre in Jamraya. Meanwhile Lebanese security sources, Western diplomats and Syrian rebels say an arms convoy near Lebanon’s border was targeted. A US official attested to the strike, saying the lorries were carrying Russian-made SA-17 anti-aircraft missiles. Syria’s foreign ministry summoned the UN commander in the Golan to deliver its formal protest, saying Israel’s action violated the 1974 disengagement agreement between the two sides, who remain technically at war. A UN observer force has been in place in the Golan since 1974, with the task of providing “an area of separation and for two equal zones of limited forces and armaments on both sides of the area”. An Israeli air strike on Syria could cause a major diplomatic incident, analysts say, as Iran has said it will treat any Israeli attack on its ally Syria as an attack on itself. Iran’s foreign minister condemned the alleged air strike as an “overt assault based on the West’s policy” to undermine stability in Syria. “The Zionists got ahead of themselves in trying to cover up the successes of the Syrian government and nation in maintaining the existing government and restoring stability and security,” Ali Akbar Salehi was quoted as saying by the semi-official ISNA news agency. Iran’s Fars news agency quoted the Deputy Foreign Minister Hossein Amir Abdollahian as saying the raid would have “grave consequences for [the major Israeli city of] Tel Aviv”. Syrian Ambassador to Lebanon Ali Abdul-Karim Ali said Damascus could take a “surprise” decision to retaliate. Relations between Russia and Israel have been improving in recent years as trade and economic ties have grown stronger. But Moscow is a close ally of President Bashar al-Assad, which would explain its concern at the reports. The Syrian army statement said the Jamraya centre – which was focused on “raising our level of resistance and self-defence” – was damaged in the attack, and specifically denied reports that an arms convoy had been hit. It said “armed terrorist gangs” – a term the government uses to describe rebel groups – had tried and failed repeatedly to capture the same facility in recent months. Some reports suggest the facility could be Syria’s Scientific Studies and Research Centre, known by its French acronym CERS, believed to be the state organization responsible for developing biological and chemical weapons. The Lebanese military and internal security forces have not confirmed the reports of an attack on an arms convoy. But they say there has been increased activity by Israeli warplanes over Lebanon in the past week, and particularly on Tuesday and the early hours of Wednesday morning. Israel has voiced fears that Syrian missiles and chemical weapons could fall into the hands of militants such as the Lebanese Shia militant group, Hezbollah. The US government said in 2008 that the reactor was “not intended for peaceful purposes”. Hezbollah said Wednesday’s target was the Jamraya centre, condemning the attack as “an attempt to thwart Arab military capabilities” and pledging to stand by its ally Bashar al-Assad. The reported attack came days after Israel moved its Iron Dome defence system to the north of the country. Israel has also joined the US in expressing concern that Syria’s presumed chemical weapons stockpile could be taken over by militant groups. 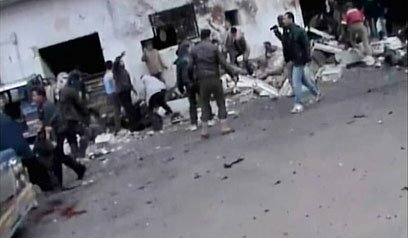 At least 90 people have been killed in a government air strike on a bakery in the central Syrian province of Hama, opposition activists say. The incident took place in Halfaya, a town recently captured by rebels. If activists’ reports of 90 deaths are confirmed, this would be one of the deadliest air strikes of the civil war. Rebels have been fighting President Bashar al-Assad for 21 months, with opposition groups saying more than 44,000 people have been killed. The latest violence comes as the joint United Nations-Arab League special envoy on Syria, Lakhdar Brahimi, arrived in Damascus to discuss ways to end the unrest. One activist in Halfaya, Samer al-Hamawi, told Reuters news agency: “There is no way to really know yet how many people were killed. When I got there, I could see piles of bodies all over the ground. Unverified video footage purportedly of the incident’s aftermath showed graphic images of bloody bodies strewn on a road outside a partially destroyed building. Several badly damaged motorbikes could be seen scattered near the site of the attack which had drawn a number of armed men to the area. 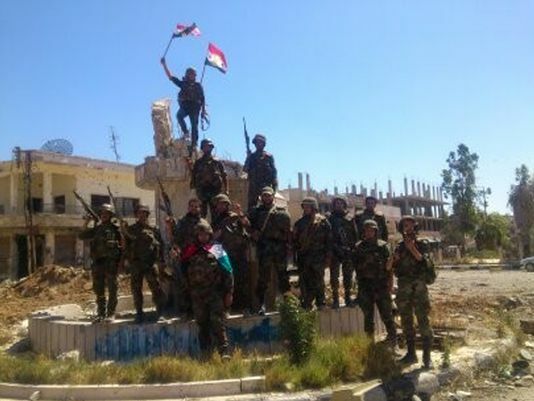 Five days ago they declared Halfaya a “liberated area” after taking over army positions there. The rebels want to take control of the whole of Hama and link up the territory they control. As has happened many times before, he says, the government has hit back with massive firepower at the areas it has lost. The UK-based opposition activist group, the Syrian Observatory for Human Rights, said there had been other air strikes on Sunday, including one on the town of Safira in northern Aleppo province, which killed 13 people. The Observatory also reported that jets had struck the town of Saqba, just north of Damascus. Meanwhile Lakhdar Brahimi, on his third trip to Damascus since taking the post, arrived overland from Beirut because of fighting near Damascus airport. 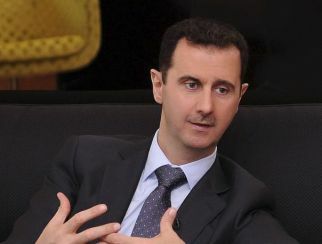 He is expected to meet Syria’s foreign minister and President Assad. 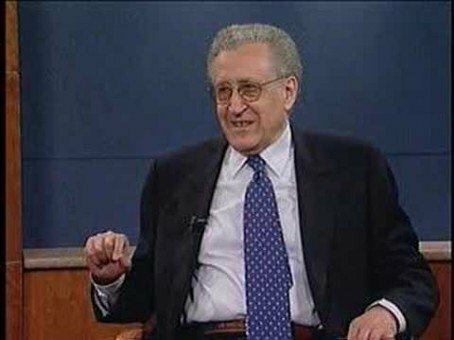 However, Lakhdar Brahimi has made little progress on a peace process so far and it is unclear what new ideas he may be bringing. The rebels now have a clear sense of victory and will not call off their attacks while they feel success is imminent. He says the rebels’ primary demand is for President Bashar al-Assad to go and, should that happen, the international community is hoping there may be a chance for negotiations for a peaceful transfer of power. Turkish civilian planes are no longer allowed to fly over Syria, Damascus has said, amid growing tensions between the two neighboring countries. The ban took effect at midnight on Saturday. This comes just days after Turkey intercepted a Syrian-bound plane, claiming it carried Russian-made munitions for the Syrian army. Syria has described the claim as a lie, challenging Ankara to put the seized goods on public view. The Syrian foreign ministry said its ban on Turkish flights was in retaliation for a similar move from Ankara. Turkey has not announced such a measure, although it has said it will continue to ground Syrian civilian planes it suspects are carrying military cargo. In Syria itself, there were reports on Saturday that rebels had shot down a Syrian military jet outside Aleppo – the town at the centre of recent fighting. 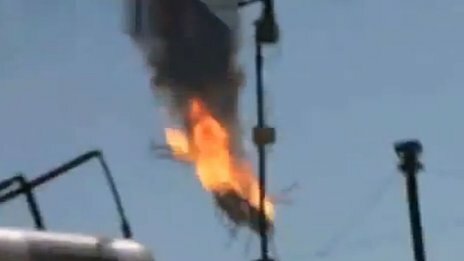 Footage posted online showed the burning wreckage of what appeared to be an aircraft, but the claim has not been independently verified. Meanwhile, Human Rights Watch has accused the government of President bashar al-Assad of dropping cluster bombs – which are banned by more than 100 countries – into populated areas. The group said there was a number of credible reports that the number of cluster bomb strikes had increased dramatically in recent days. Syria refuses to join the Convention on Cluster Munitions, which bans the use of such weapons. In a separate development, Turkish Prime Minister Recep Tayip Erdogan told a conference in Istanbul that the UN’s failure to act in Syria gave President Assad the green light to kill tens or hundreds of people every day. Turkey may not be at war with Syria, but it is now increasingly involved in its neighbor’s conflict. Recep Tayip Erdogan’s comments come as the UN-Arab League envoy for Syria, Lakhdar Brahimi, had talks in Istanbul with Turkish Foreign Minister Ahmet Davutoglu to hear Ankara’s perspective on the crisis. No breakthroughs were expected, and none were reported after the meeting. 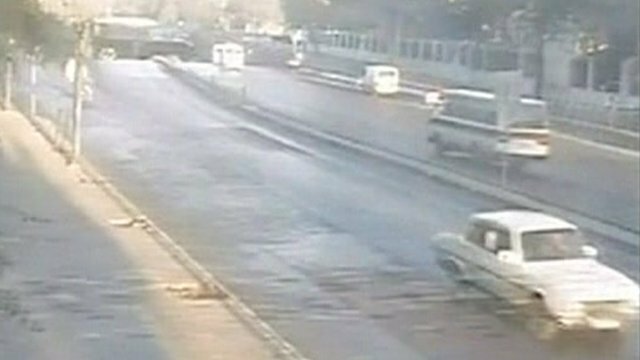 Four Syrian military guards were killed after suicide attackers drove vehicle bombs into the military HQ in the heart of Damascus, officials say. State TV quoted army sources saying that 14 others were hurt in the attacks, contradicting earlier official accounts that said no one had died. 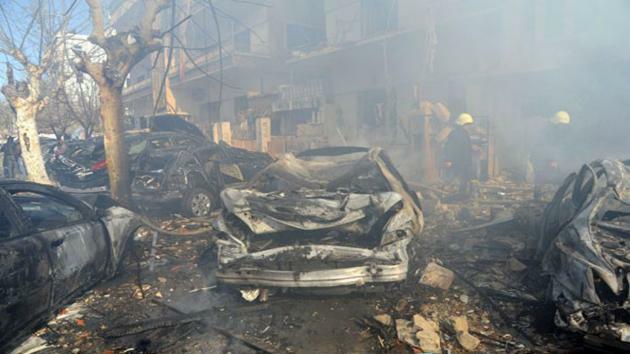 The rebel Free Syrian Army (FSA) said it had carried out the attack, but did not mention suicide bombings. Official media said “terrorist attackers” had opened fire inside the perimeter of the compound and in nearby streets, and security forces had confronted them. Witnesses said the blasts ignited a fire that engulfed much of the main building that houses the army’s General Staff. The blasts happened just before 07:00 local time close to one of the city’s busiest areas, Umayyad Square, which is dominated by government buildings. Buildings more than 1 km (half a mile) away shook violently under the force of the explosions. The staff command compound represents the heart of the Syrian army. And the attack comes days after FSA announced it had moved its command from Turkey to Syria in an apparent attempt to bolster its fight against regime forces. Damascus resident Jean-Pierre Duthion said his entire building shook and windows were shattered. “We all ran into the corridor, in the place without windows or anything, and we were just waiting until it stopped,” he said. 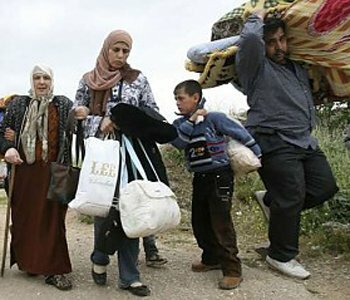 The United Nations refugee agency says that more than 200,000 Syrians have fled to neighboring countries as the conflict has intensified. The UNHCR said the figure was already more than its projection of 185,000 for the end of this year. About 30,000 arrived in Turkey, Iraq, Lebanon and Jordan in the past week. Meanwhile, activists say Syrian army tanks have reached the centre of the Damascus suburb of Darayya, after shelling killed about 20 people. The reported offensive is part of a government military campaign launched this week to regain control of outlying areas of the capital. The violence in Syria has taken a toll on civilians, with more than 200,000 registering with the UNHCR in neighboring countries since security forces began suppressing pro-democracy protests in March 2011. “We are now at a much higher level of 202,512 refugees in the surrounding region,” UNHCR spokesman Adrian Edwards told a news conference in Geneva on Friday. “In Jordan, a record 2,200 people crossed the border overnight and were received at Zaatari camp in the north,” he added. The total reflects an increase of about 30,000 in the past week, but also takes into account a change in the way refugees are counted in Jordan. Adrian Edwards said the deteriorating security situation in Lebanon, where 51,000 refugees are registered, was “hampering our work to help refugees fleeing Syria’s conflict, though operations are continuing”. The main battle fronts are currently in the second city of Aleppo and in Damascus, where the government this week launched a fierce military offensive to crush rebel resistance on the outskirts of the capital. Opposition activists said troops backed by tanks had entered the south-western suburb of Darayya on Friday afternoon, and had been seen on al-Thawra Street, in the centre. “The rebels have mostly slipped away. The fear now is that the army will round up young men and summarily execute them, as it did in Muadhamiya,” activist Abu Kinan told the Reuters news agency, referring to a nearby suburb where the bodies of as many as 40 men shot at close range were reportedly found in buildings after troops pulled out. Earlier, the army had used multiple rocket launchers located at the nearby Talat Qawqaba military base and artillery at Mezzeh military airport to bombard Darayya. It has targeted the town for several days, shelling it from afar and clearing it with ground troops, trying to sweep it clear of rebels. But rebel fighters are using classic guerrilla tactics, making it difficult for the army to defeat them despite its use of massive force. Activists said at least 70 people had been killed in Darayya in the past 72 hours, most of them civilians. Opposition sources also reported fighting on Friday in other suburbs of Damascus, as well as heavy shelling on several districts of Aleppo. Saudi Arabia, the United Arab Emirates (UAE), Qatar and Kuwait have urged their citizens to leave Lebanon amid signs that the conflict in Syria is spilling over into its western neighbor. The four Arab states urged immediate action after a string of kidnappings of Sunni Muslims by a powerful Shia clan. 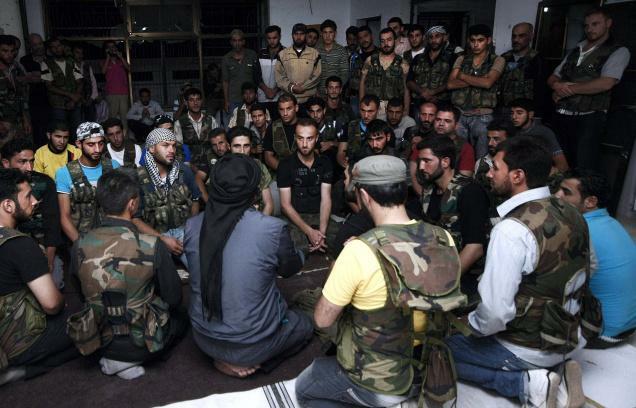 They were retaliating for the abduction of a clan member by rebels in Damascus. Meanwhile, a summit of Islamic countries meeting in Mecca has suspended Syria’s membership. The Organisation of Islamic Co-operation’s secretary-general, Ekmeleddin Ihsanoglu, said the body had no room for a regime that kills its own people. Correspondents say the move further isolates President Bashar al-Assad after the Arab League suspended Syria last November. Lebanese citizens were further caught up in the Syrian crisis on Wednesday when warplanes struck the town of Azaz north of Aleppo, reportedly killing 30 people. Among those reported wounded in the attack close to Syria’s border with Turkey were seven Lebanese hostages held by the rebels since May. Four more hostages were said to be missing after the building they were in was hit. After unconfirmed TV reports that the four had died, rioters were said to have burned tyres on the main road to Beirut airport and an Air France flight switched routes to Jordan “for security reasons”. The al-Meqdad clan said it had abducted more than 20 people it claimed were connected to Syrian rebels. A video broadcast by a pro-Syrian TV channel showed what it said were two of the men, apparently including a Free Syrian Army captain. Although most of the men abducted were Syrians, a Turkish businessman and a Saudi national were also reported to be among those seized. Syrian rebels say the man they seized in Damascus was fighting for the Syrian government on behalf of Lebanon’s Shia Hezbollah movement. A video of Hassan Salim al-Meqdad was released by his captors on Tuesday in which the captive, surrounded by three masked gunmen, says he was one of 1,500 Hezbollah fighters who arrived in Syria in early August. The statement was dismissed by his family – the al-Meqdad clan – as a lie. The clan, who are thought to be heavily involved in smuggling, have been described as a family with a military wing. Saudi Arabia, Qatar and Turkey are all Sunni Muslim countries that support the Syrian rebels fighting the government of Bashar al-Assad. As the al-Meqdads threatened to carry out further abductions, the official Saudi news agency Spa quoted a foreign ministry official as saying Saudi citizens should avoid “travelling to Lebanon for their own safety”. A UAE foreign ministry official said it issued its alert after the embassy “received information about UAE nationals being targeted and because of the difficult and sensitive circumstances in Lebanon”, state news agency Wam reported. Lebanon is a popular tourist destination for Saudis and citizens of other Gulf states. The abductions were condemned by Lebanese Prime Minister Nagib Mikati and President Michel Suleiman. “Spreading chaos in the country will not bring about the liberation of hostages. On the contrary, chaos could cause [the hostages] harm and threatens the sovereignty of the state,” the president said. Like Syria’s other neighbors – Turkey, Iraq and Jordan – Lebanon has absorbed thousands of refugees fleeing from the conflict. But unlike the other countries, Lebanon risks being plunged into sectarian strife, possibly even a return to civil war, by the strains inflicted on its own delicate internal situation by the Syrian crisis, correspondents say. Last week, former information minister Michel Samaha was arrested and accused along with two Syrian military figures of plotting to destabilize Lebanon and incite sectarian fighting. Tripoli – Lebanon’s second city – has recently witnessed street gun battles between supporters and opponents of President Bashar al-Assad. 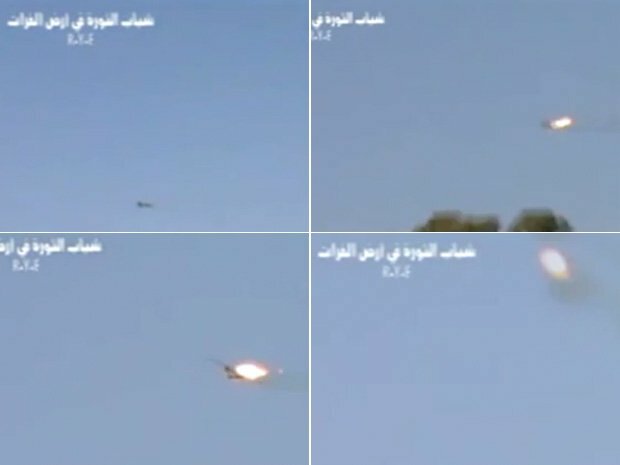 Syrian rebels have produced footage of a man they claim is the captured pilot of a fighter jet that went down in the east of the country. The rebel Free Syrian Army (FSA) say they shot a military aircraft down near the Iraqi border. But state media say the plane crashed because of “technical problems” and a search is under way to find the pilot. Government forces have continued their advance in Aleppo, with reports of clashes in the west of the city. According to Syria’s state-run news agency Sana, the plane that went down had suffered a fault with its “control mechanisms” during a routine training mission, forcing the pilot to abandon the aircraft. The aircraft was shot down near the town of al-Muhassan, around 120 km (75 miles) from the Iraqi border in Deir al-Zour province, the rebels say. 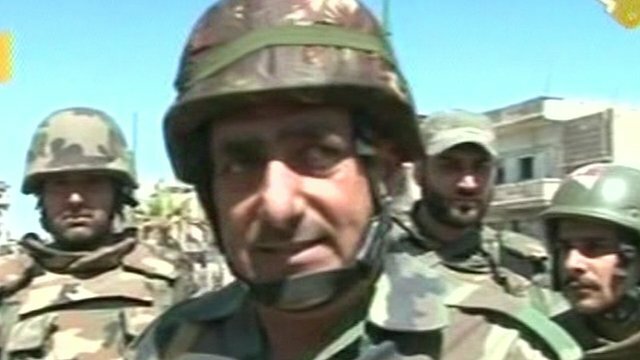 The FSA says that one of the two-man crew died and that another has been captured. A group calling itself the “Revolutionary Youth of the Land of the Euphrates” uploaded a video to YouTube purporting to show the captured pilot surrounded by three armed rebels, saying that his mission was to “bomb the town of al-Muhassan”. In the video, which cannot be independently verified, the seemingly middle-aged man identifies himself as a pilot, Col. Fareer Mohammad Suleiman. He appears to have minor bruising to his face which he attributes to the plane crash. In other footage provided by the rebels, what appears to be a Russian-built MiG-23 fighter jet is shown carrying two under-wing weapons pods thought to be loaded with air-to-ground missiles. Anti-aircraft fire can be heard before the jet bursts into flames. Rebel gunners are then heard on the footage celebrating. If the rebels have succeeded in downing a MiG-23, it would be a significant moment in the conflict. 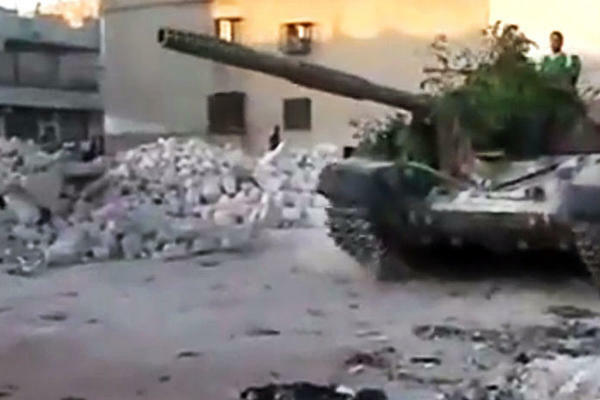 Reports have emerged recently of anti-aircraft weapons reaching rebels in Syria. Earlier this week, photos were posted online by rebels showing them with a full surface-to-air missile system. This would pose a potential threat to the regime’s air power, correspondents say. Meanwhile, activists say government forces have begun a new advance against rebels in Aleppo, Syria’s largest city. 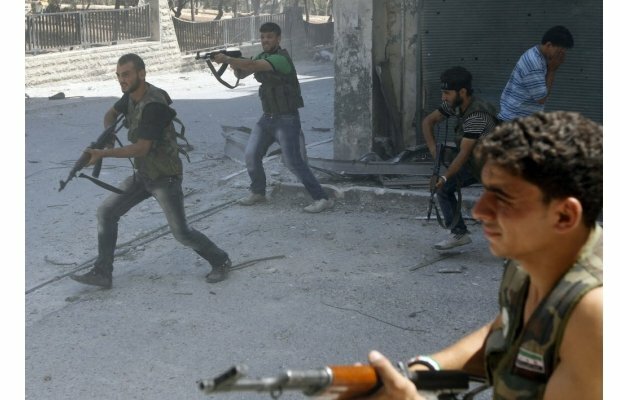 Aleppo has seen fierce clashes between the two sides in recent weeks. Government forces entered the Saif al-Dawla neighborhood with tanks and armored vehicles, according to the UK-based Syrian Observatory for Human Rights. The strategic northern district of Salah al-Din had been coming under bombardment since the morning, the Observatory said. State media also said Syrian armed forces in central Homs province had killed a large number of “mercenary terrorists”. According to reports from activists and residents, the Syrian capital Damascus has seen some of the heaviest fighting of the conflict so far. 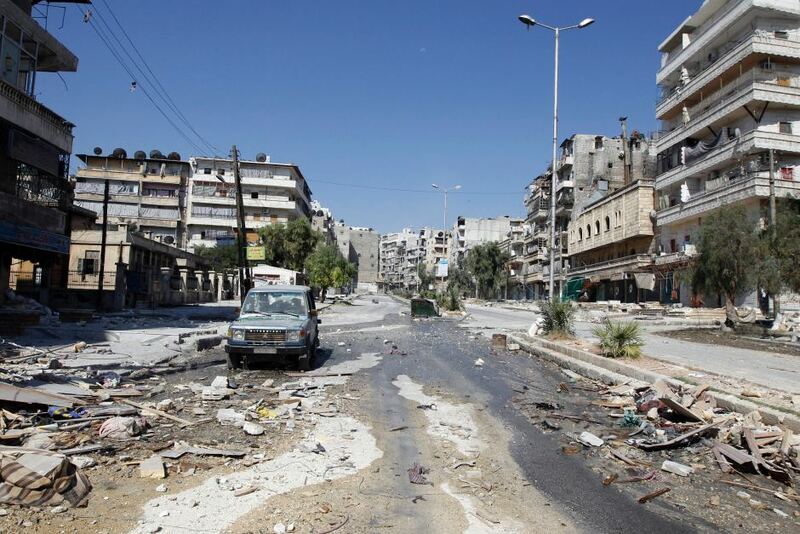 Mortar and small-arms fire was reported in several areas as government forces clashed with the Free Syrian Army. The fighting came as UN and Arab League envoy Kofi Annan prepared to meet Russia’s foreign minister for talks on the Syrian crisis. Russia has been backing Syrian President Bashar al-Assad’s regime. Kofi Annan is expected to urge Foreign Minister Sergei Lavrov to put pressure on the Syrian authorities to begin a political transition.. 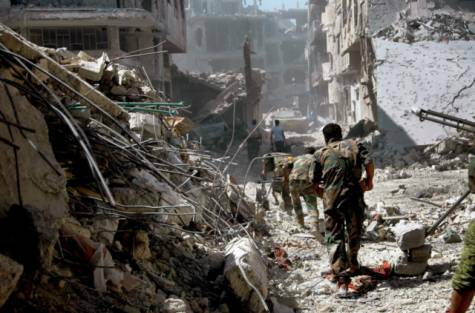 The International Committee of the Red Cross (ICRC) has said the conflict in Syria is now in effect a civil war. It means combatants across Syria are now subject to the Geneva Conventions and could be liable for war crimes prosecution in the future. The ICRC had previously regarded only the areas around Idlib, Homs and Hama as warzones. Clashes between government forces and Free Syrian Army rebels seem to be creeping ever closer to the heart of Damascus and the centre of the regime’s power. Mortars were reportedly used on the southern edge of the city, in areas like Tadhamon and Midan and around nearby Palestinian refugee camps. Activists said clashes continued into the early hours of the morning. A convoy of army reinforcements was reported to have been attacked by rebels in Kfar Sousa to the west, leading to further clashes there. There has been frequent trouble in these areas – barely three miles (4-5 km) from the centre – for months. But as with many of the suburbs ringing the city slightly further out, all the government’s repeated efforts to stifle defiance have failed. The government has denied that it had used heavy weapons in its attack on the village of Tremseh on Thursday. Spokesman Hicham Hassan said Syria was now regarded as a “non-international armed conflict”, which is the technical term for civil war. “What matters is that international humanitarian law applies wherever hostilities between government forces and opposition groups are taking place across the country,” he said. The statement is significant because it is the Red Cross’ job to monitor the conduct of the fighting, and to tell warring parties what their obligations are. The ICRC’s announcement echoes both the UN’s head of peacekeeping Herve Ladsous and President Assad, who has said the country is at war. 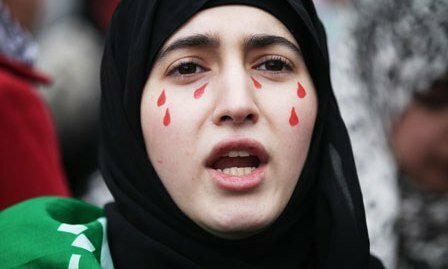 Some 16,000 people are thought to have been killed since the uprising against Bashar al-Assad’s regime began in March 2011. UN diplomats are attempting to agree a way forward for the organization’s monitoring mission in the country. The mission’s mandate runs out on Friday, and Western nations are trying to get Russia and China to agree to a strengthened resolution authorizing sanctions.